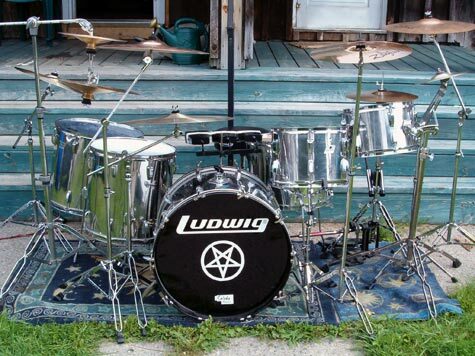 Here are a couple of pics of my 70's Ludwig Stainless Steel. 22 / 18 / 16 / 13 / 12 / 15 Ludwig marching snare with Ftom legs. 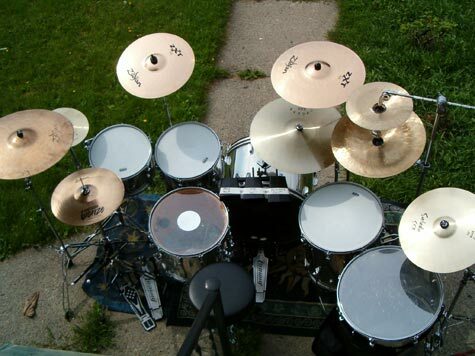 Cheap cymbals, Dble Kick pedal. Sounds Great!